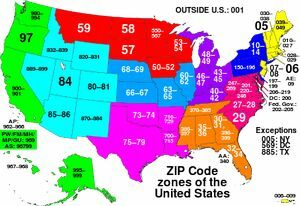 This FREE database includes every ZIP code in the United States (42,613 records) including decommissioned ZIP code. ZIP code data changes occur quite frequently and controlled by USPS. It's important that you use the latest ZIP code database for accuracy. The data file available here is updated in 2017. Each record contains other valuable information such as phone area codes used, population estimate and county name. The database can only be used for Personal / Non-commercial use.